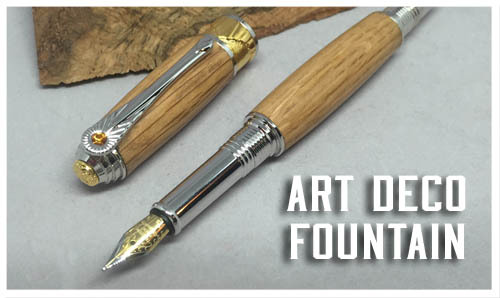 This style pen is called the "Art Deco". 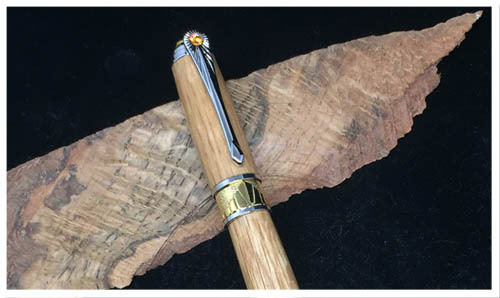 This is one of the finest writing instruments I make. 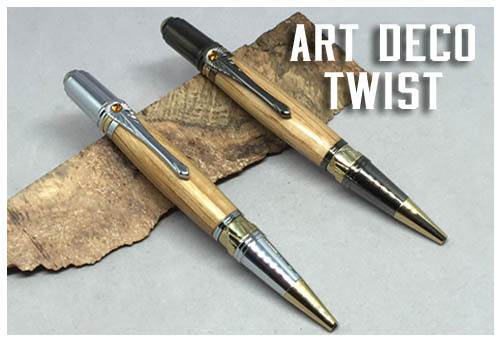 Art Deco was an opulent and lavish art form that spanned the 1920's and 1930's. 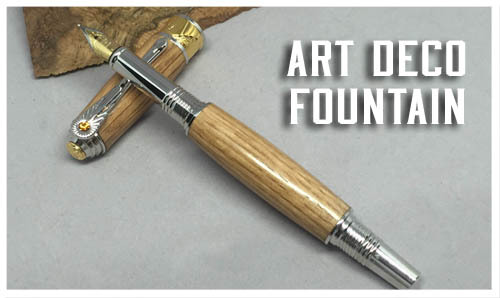 The art form influenced architecture, industrial design, interior design, fashion, and film of the period. 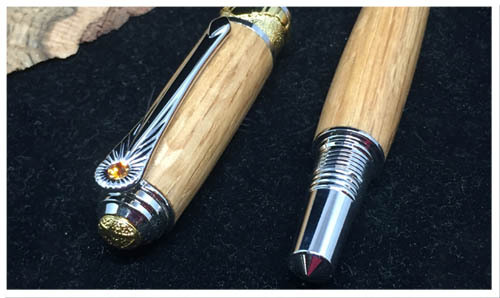 All components are cast, polished and plated with a durable Rhodium & 22kt Gold plating, and includes spires and starbursts that characterize the Art Deco period. 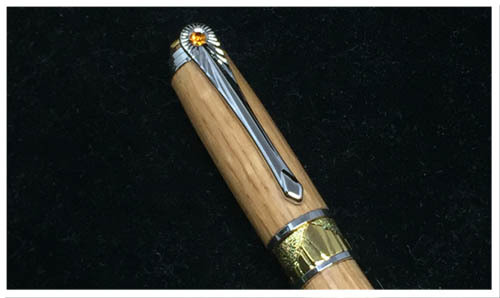 The pen clip features unique Art Deco design and a radiant Swarovski Crystal. Posts with threads on the end cap. 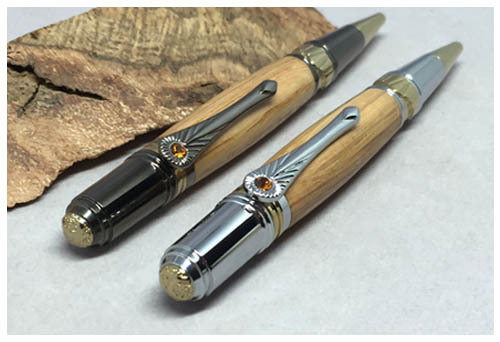 The cap is 3-D cast with intricute Art Deco detail, and the Pen Band is cast and gold plated with Art Deco detail. Accepts cartridge refills, or you can use your own bottled ink with the included ink siphon converter. 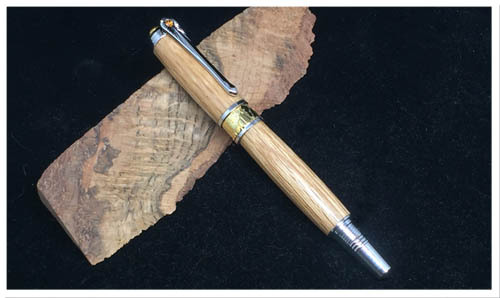 Available as shown in Rhodium and 22kt Gold, with your choice of bourbon oak flavor.